There’s a chance of me doing some reviewing in the near future, so I am of course paying particular attention to such pieces, especially the lead sentence. The following, from William T. Vollmann’s review of Philip Caputo’s Crossers, seems like it could be endlessly reused, with only the author’s name altered. Once when I was so weak with amebic dysentery that all time not spent on the toilet was passed in bed, I found in my host’s house one book in a language I could read. It was one of those storm-tossed but ultimately upbeat women’s romances, a genre I had not yet sampled. I read it, then read it again and again, since there was nothing better to do. 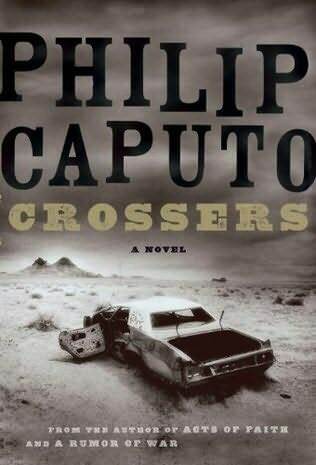 If I ever have the luxury of repeating such an experience, I hope to do so with a Philip Caputo book. All I would need after that is a plot summary and a few sentences of mostly unsubstantiated opinion. That usually does the trick. I am currently reading this book, and found that review on line. I am not sure that as a writer, even though you know it is how a lot of people read, you’d want to hear that your book is perfect toilet reading.